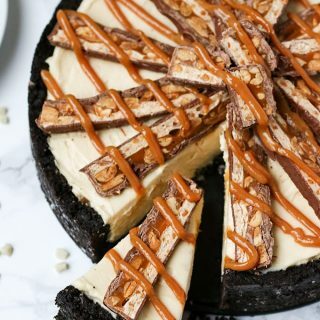 Our delicious no bake snickers cheesecake! 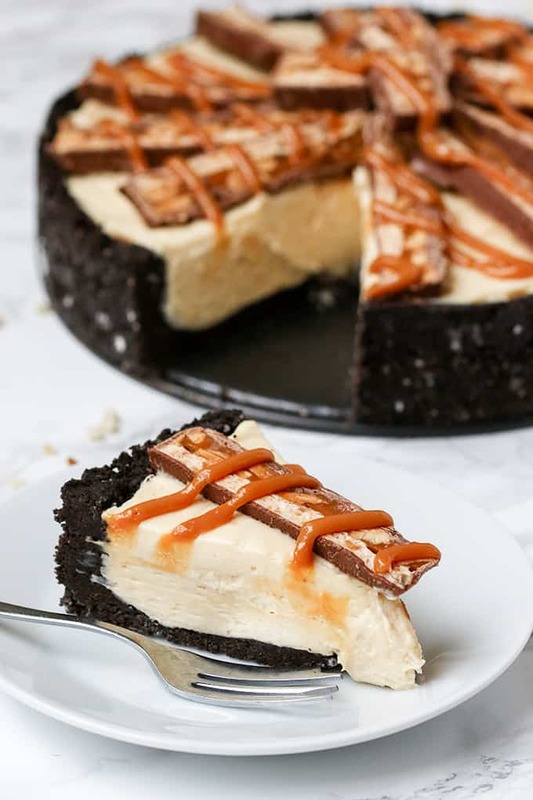 A creamy no-bake peanut butter cheesecake topped with strips of Snickers and an Oreo base! Just make sure you have a light dinner before putting this cheesecake on the table. 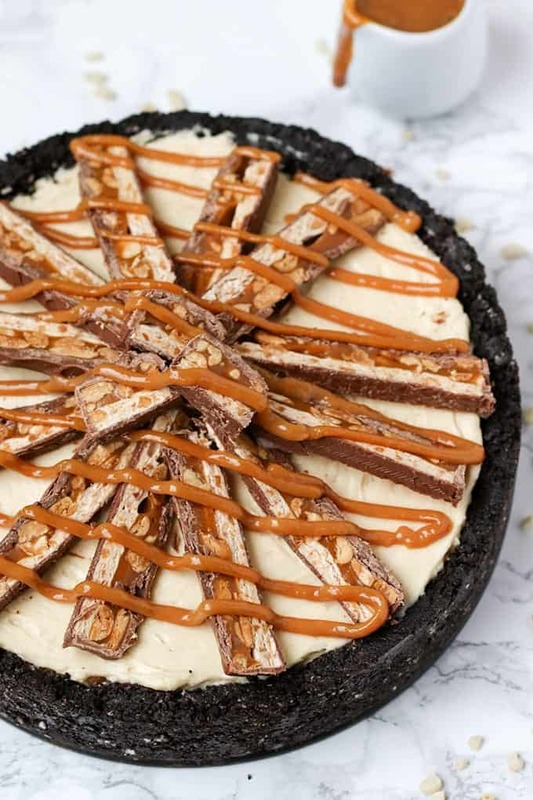 You really want to save room for this peanut butter and snickers-laden dessert. 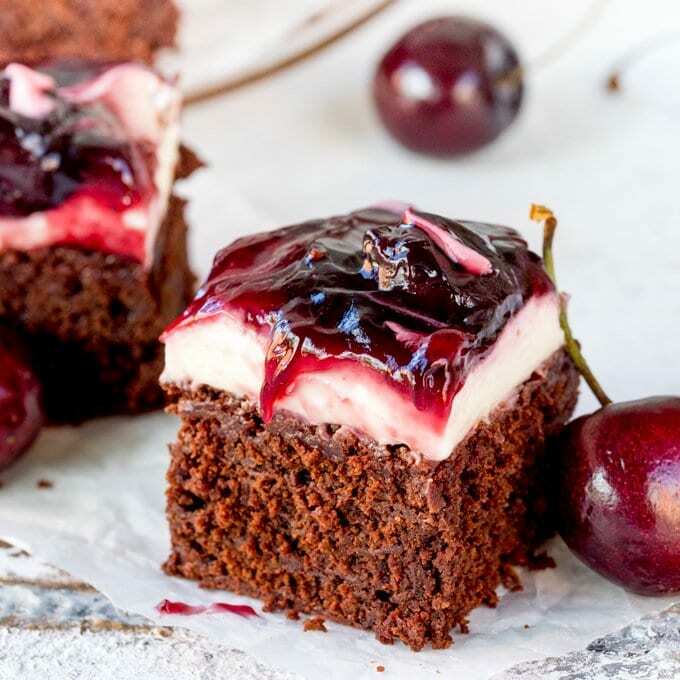 It’s seriously rich, so you don’t need much to satisfy that sweet tooth. You’ll probably end up eating more than you should though. Make it ahead so you can spend some time with your guests at that Christmas party. I can’t imagine going to the fridge for an evening snack and there being no leftover turkey to nibble on. So I’m buying a Turkey especially for the leftovers!! 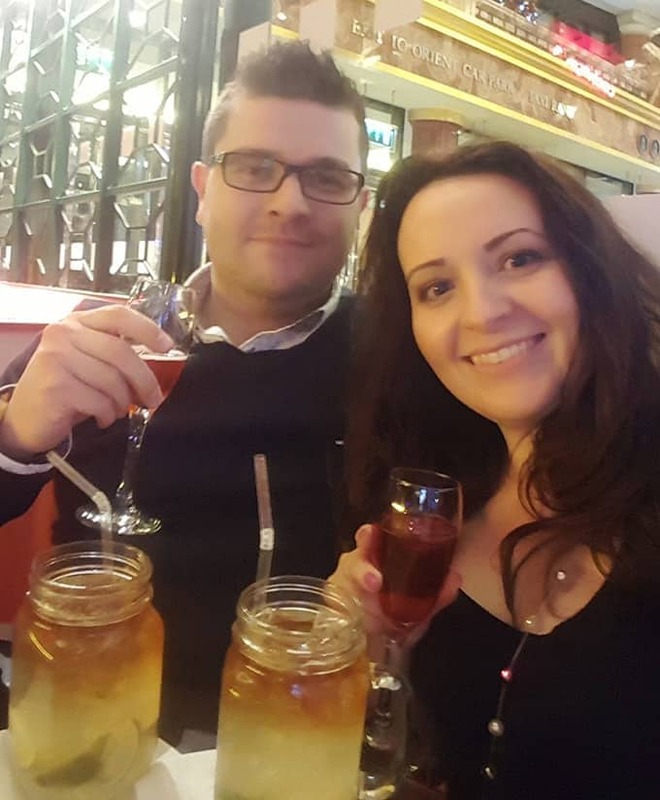 It feels like we haven’t just chilled out together for ages! I’m thinking tapas and cocktails and then coming home and finishing off with a large slice of cheesecake from the fridge. Yum!! 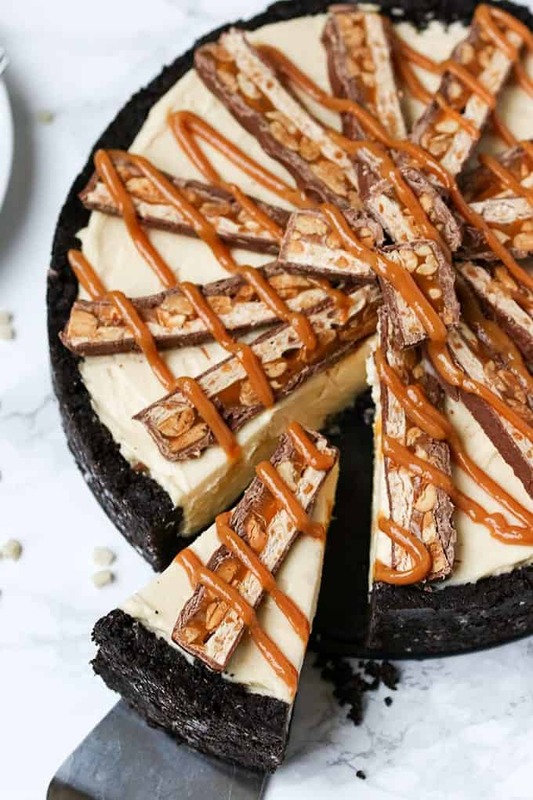 A creamy no-bake peanut butter cheesecake topped with strips of Snickers. Place the Oreos in a food processer and pulse until they turn to coarse crumbs. Stir in the melted butter and then spoon into a 9-inch baking tin with removable base. Use a measuring cup to firmly and evenly squash the crumbs into the base and up the sides of the tin. Use a teaspoon to level the top of the sides. Place in the fridge to chill for 30 minutes. Place the cream in a large bowl and whisk until soft peaks form. 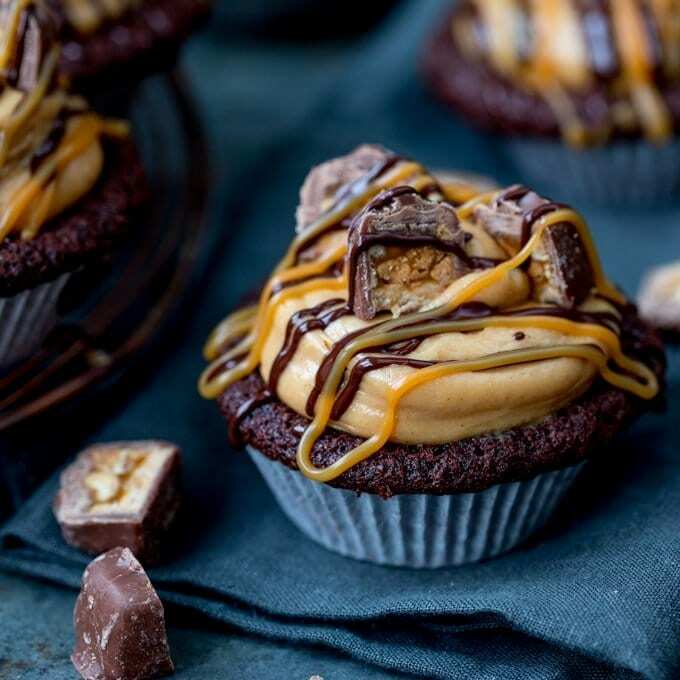 Add the peanut butter and cream cheese and whisk for a few seconds, then add in the confectioner’s sugar and vanilla extract. Whisk again until smooth. Take the base out of the fridge and spoon the peanut butter mixture into it. Cut one of the Snickets bar in chunks, and then slice each of the remaining snickets bars into 4 lengths (so you have 12 lengths altogether). 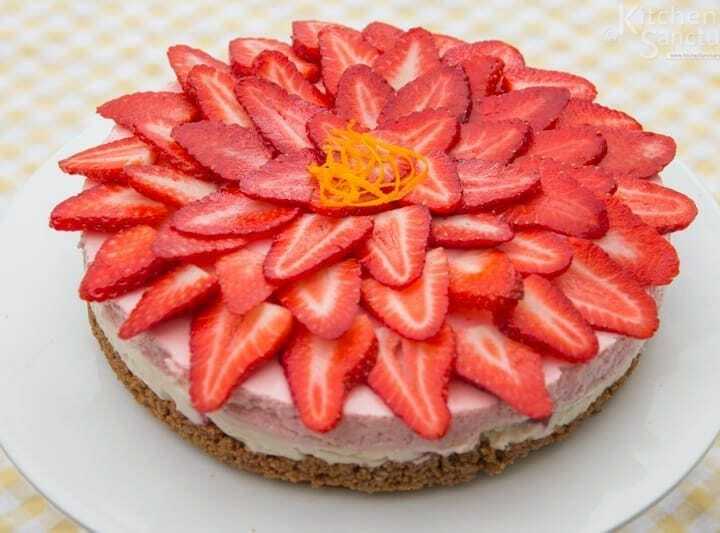 Arrange the lengths in a star pattern on top of the cheesecake, and place the chunks of Snickets in a heap in the middle. Place the carnation caramel in a piping bag or sandwich bag with the tip cut off. Pipe caramel sauce all over the top of the cheesecake and serve. You can make this cheesecake ahead - it should keep in the fridge nicely for 1-2 days in a sealed container. Does the cheesecake need putting back in the fridge so the topping can set? Thank you. Worth every calorie, such a special treat. Yummy! Can’t beat an oreo crust – it’s even better making oreo crusts whilst eating oreos :-)!